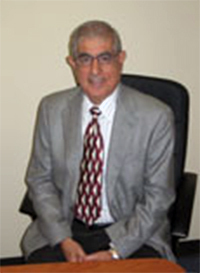 Ahmed Abu-Shaaban has practiced Structural Engineering for over 40 years with well-known companies such as Fluor Ocean Services, CRS Architects, Bechtel, M.W. Kellogg, S&B Engineers, and Stone and Webster. His experience covers all aspects of structural design and supervision of projects such as educational, commercial and institutional facilities, petrochemical plants, gas processing plants, offshore structures, marine terminals, cross country pipelines. His career includes both office and field experience. Approximately 80,000 square-foot complex, including the Lifestyle Christian K-12 School, basketball court/gymnasium, & the main sanctuary. A 2-story, approximately 20,000 square-foot facility. An 80,000 square-foot, single-story store. Mr. Abu-Shaaban holds a Bachelor’s Degree in Civil Engineering from the University of Houston, 1968. He also attended post-graduate classes in Structural Engineering at the University of Houston. He is a registered Professional Engineer in Texas (No. 38614) and is an active member of the Structural Engineers Association of Texas and Foundation Performance Association, and currently the President of AAEAA- Texas. He is listed among the Engineers appointed by the Texas Commissioner of Insurance to perform Windstorm Inspections.